Election Protection provides Americans from coast to coast with comprehensive voting information on how they can make sure their vote is counted through a number of resources including: 1) a suite of voter helplines: 866-OUR-VOTE (led by the Lawyers’ Committee for Civil Rights Under Law), 888-Ve-Y-Vota (led by the NALEO Educational Fund), and 888-API-VOTE (led by APIAVote & Asian Americans Advancing Justice-AAJC); 2) voter protection field programs across the country; and 3) digital tools including 866ourvote.org, @866ourVote, and facebook.com/866OurVote. 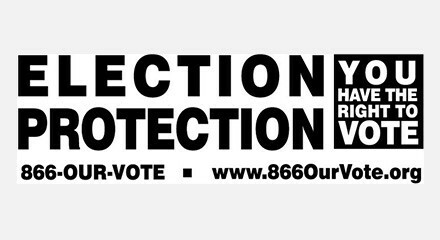 Through the 866-OUR-VOTE hotline, the agent volunteers who work in the legal profession and are trained on voting rights issues to answer a range of voter questions, like where to vote, whether an individual needs ID to vote or respond to problems like a voter who doesn’t show up on the voting rolls. With Genesys powering their contact center as a service 365 days a year, Election Protection has the assurance of a stable, flexible platform designed to withstand unpredictable call volume during voting season and support the organization’s goal to ensure all eligible Americans have an equal opportunity to cast a ballot that counts.